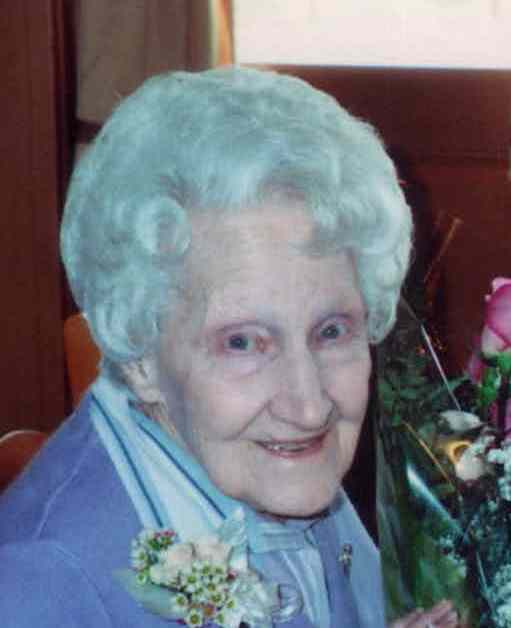 Janet E. (Sherlock) Morgan, who loved her family, the holidays and “old chums,” passed on Wednesday, November 28, 2018, way to soon, she was 98. Janet was the last surviving of 9 children born to the late Stephen and Elizabeth Sherlock in Ginter, PA.
Janet moved to the area with her widowed mother and her 8 siblings during the great depression. Honors graduate of Lasalle Jr. Sr. High class of 1938, she was 8th in her class. She was employed by the Niagara Gazette for 13 years and the Tonawanda News for 17 years, retiring as an Editorial Assistant. For over 40 years, she was the wife of the late Howard Morgan, who preceded her in death in 1980. Survivors include three children, Judy (Howard) Kay, Susan (Harold) Barnes and Jeff (Gail) Morgan; 5 grandchildren, Adam and Jason Kay, Dana Smith, Deni Cooper and Kristy Morgan and 2 great-grandsons, Zach Kay and Cody Cooper and many nieces and nephews. In addition to her parents and husband, Mrs. Morgan was predeceased by her son, Captain Dennis Morgan, USAF, and brothers, Harry, Merrill, Delmar and Clifford and her sisters, Emma, Leona, Minnie and Dessie. No prior visitation. Private internment was held with her family at Memorial Park Cemetery, Lewiston, NY. If desired memorial offerings may be made to the SPCA of Niagara or LaSalle Public Library. Arrangements are under the direction of Michael R. Goodlander of OTTO REDANZ FUNERAL HOME. Please visit www.goodlandercares.com for online condolences.